Sprains and strains are painful, but avid exercisers often see them as little more than a nuisance. I call them something else: a blessing. It’s a wake-up call. It’s your body whispering rather than shouting at you. These injuries are warnings that if you keep doing what you’re doing, you could do major damage. We need to listen to our bodies, especially as we get older. Aging is a lot like what happens to a bungee cord. You get the cord from the store and it’s new, elastic and stretchy. Leave it out in the sun or the rain, or take it to the beach—over time, it won’t behave in the same fashion. Our bodies are the same way: The collagen that gives us our elasticity dries out over time. And when our bodies lose elasticity and can no longer accommodate a movement through stretching, sprains, strains, and other injuries are the result. But that’s not an excuse to give up working out. Your body still needs exercise—it just needs different types of exercise than it used to. I encourage physical activity, but I urge people to be smart about it. The sport you loved playing in college might not be the best option as you age. 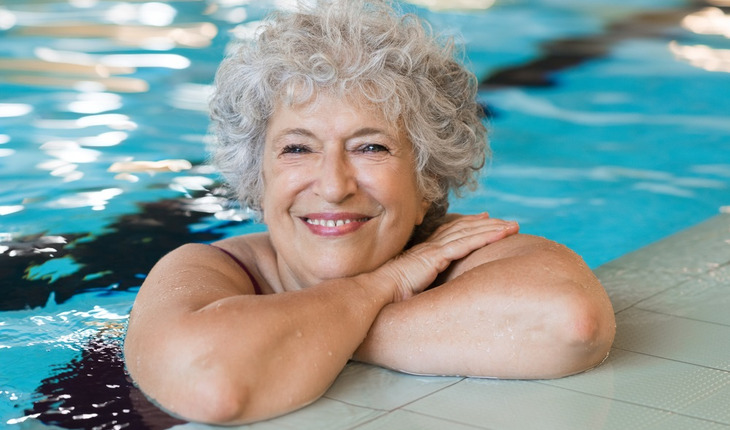 Water aerobics and other pool activities are excellent for adults, especially as they get into their 40s and 50s. These workouts allow you to build muscle without hammering on precious cartilage. They aren’t enough for women concerned about warding off osteoporosis, however. For that you’ll need to come out of the water. I recommend tai chi: slow, graceful movements performed in a focused and flowing manner with low impact on the joints. I’ve seen many patients who work out with professional trainers and end up with injuries because they work through pain. If an exercise hurts, stop immediately. It’s a sign you’re doing damage to your body. If parts of your body regularly hurt or the pain doesn’t go away, consult your doctor. Don’t ignore the pain. You could end up needing surgery or other serious interventions. I divide exercise into two categories: nurturing and abuse. We all love the abuse: Tennis. Skiing. Running. But keep in mind that you don’t get younger from exercise, and you don’t lose weight from exercise alone. Weight loss requires changes in your eating, not just moving more. As you age, you should ease up on the abuse. For nurturing, I love the pool, bikes, elliptical machines and mat Pilates. But I’m opposed to treadmills, lunges, squats, stair machines, and weights for the lower extremities. When you’re 50, I’m only going to let you have one abuse: Hiking. Racquetball. Tennis. Pick one.